Preparing an outdoor activity or adventure is extremely important. There are various factors to take into account in camping such as planned activities, trip itineraries, essentials to bring, companions you wish to accompany, and, most of all, your allocated budget. 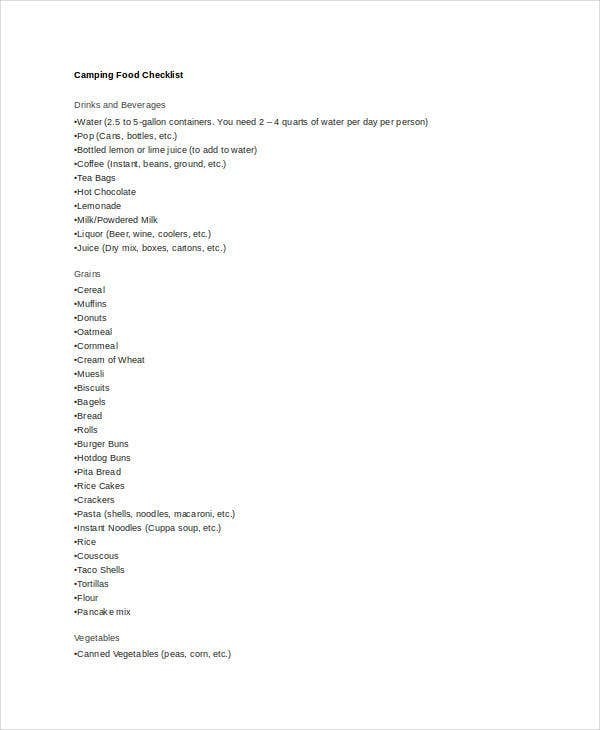 Your camping list will differ according to the type of camping and activities you wish to achieve. 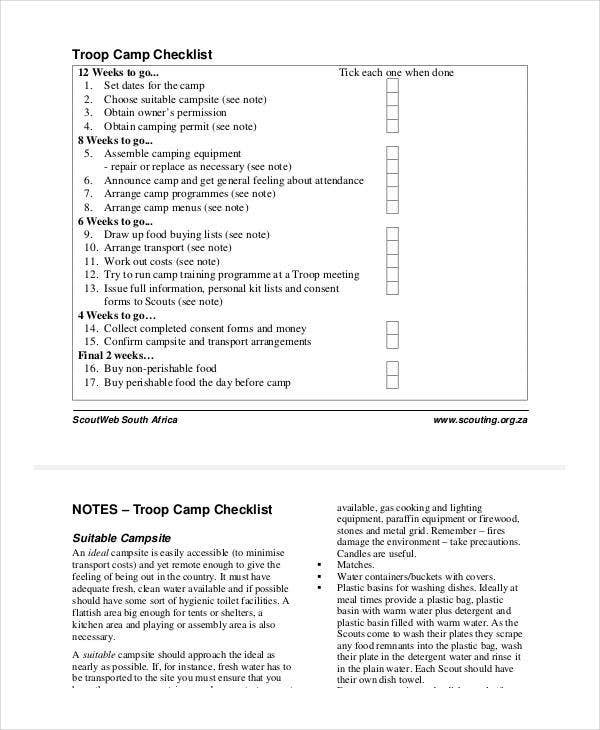 Sample checklists are a great tool to help you organize and achieve a memorable, fun, and extra satisfying camping trip. 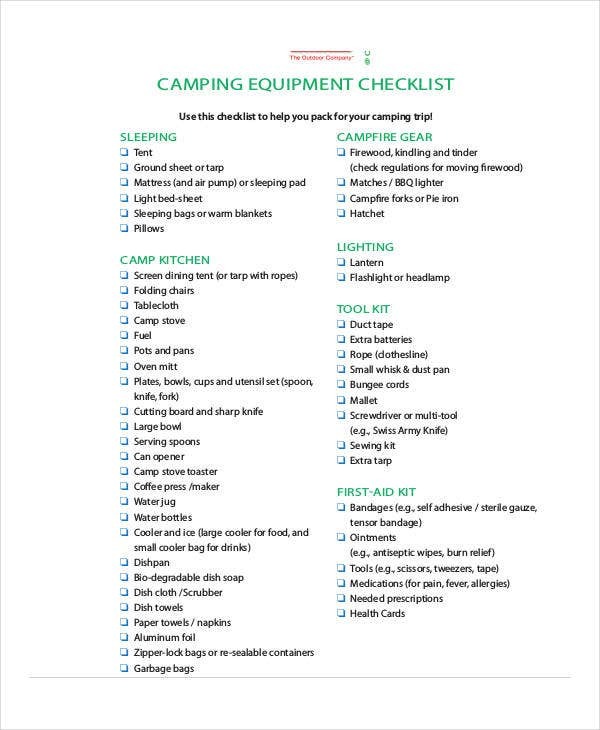 Check our wide selection of editable, free-to-download checklist templates to help you organize your next camping trip. Camping is one of the many ways to relieve stress. You can either have a trip with your family or loved ones or have the chance to get wild with your circle of friends. Regardless who your companions are, the more people involved, the merrier it becomes. If you have your own car, you may consider using it to get to the location you are going to. However, if you don’t have one, you have the option to take a bus. While on your way, you may talk about things under the sun and enjoy the scenery you rarely see. Bring with you your favorite musical instruments and have fun singing while traveling to kill time and have your favorite chips or snacks along with you. The time you spend camping will absolutely have you relaxed, but the time organizing the trip—setting the budget, making travel plans, organizing the trip itinerary, etc.—may be one of the reasons why you considered taking a holiday in the first place. 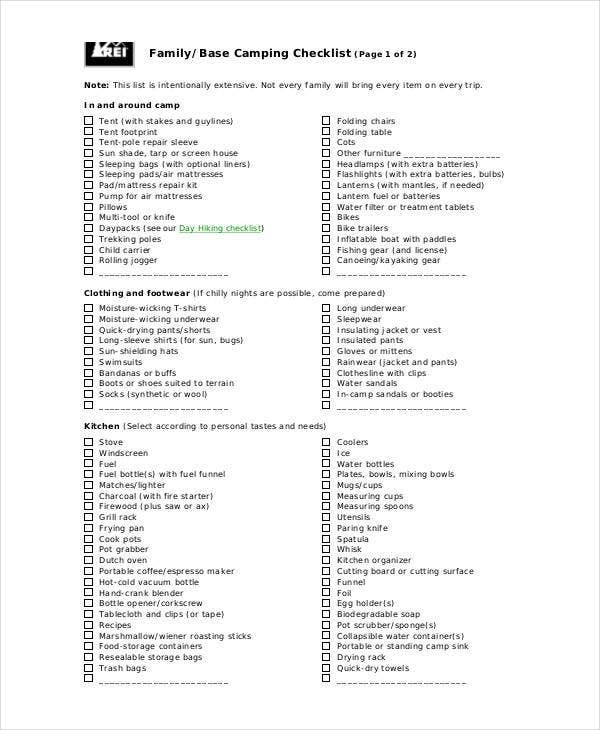 Worry not because with our huge selection of vacation checklist templates and travel checklist templates in PDF, DOC, and various formats, which are free to download and easy to edit according to your trip needs, you may only need to worry about your destination and how much time you need spending your time relaxing. 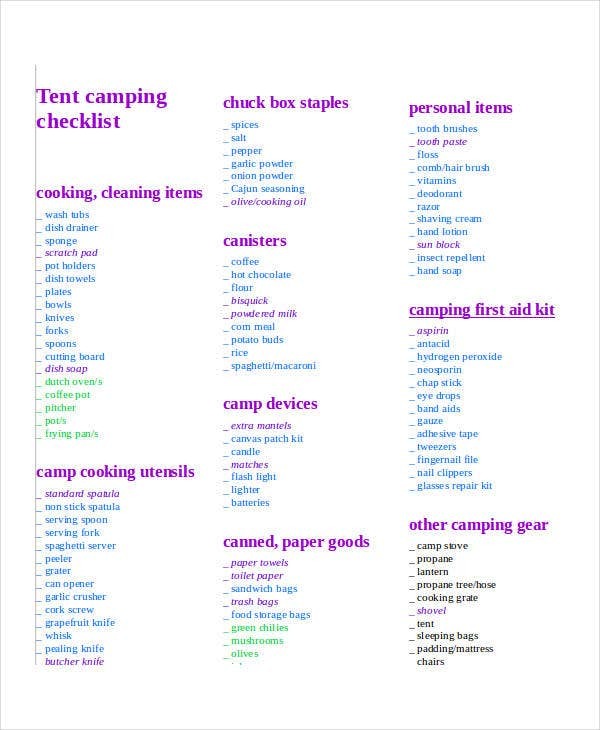 You can organize your camping items needed, camping trips, and other camping activities to make sure that there are no mishaps and everything and everyone is accounted for. 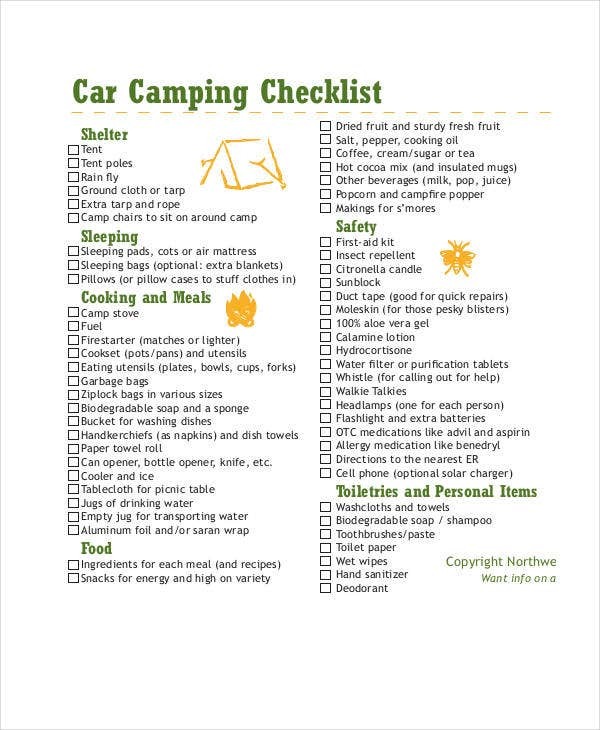 A camping checklist gives your brain more room to think of creative and fun things to do since you don’t have to remember all the steps you need to take. 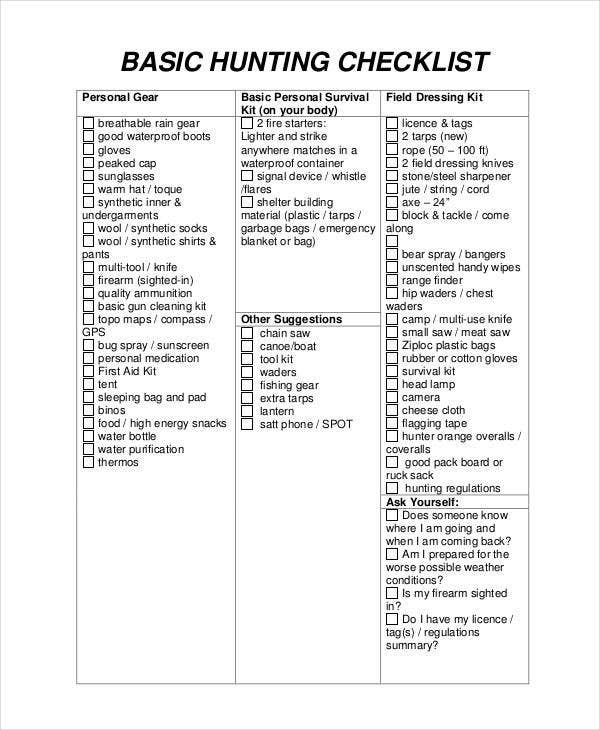 A camping checklist saves you time from trying to remember and follow up tasks and activities that need to be done at a certain time. 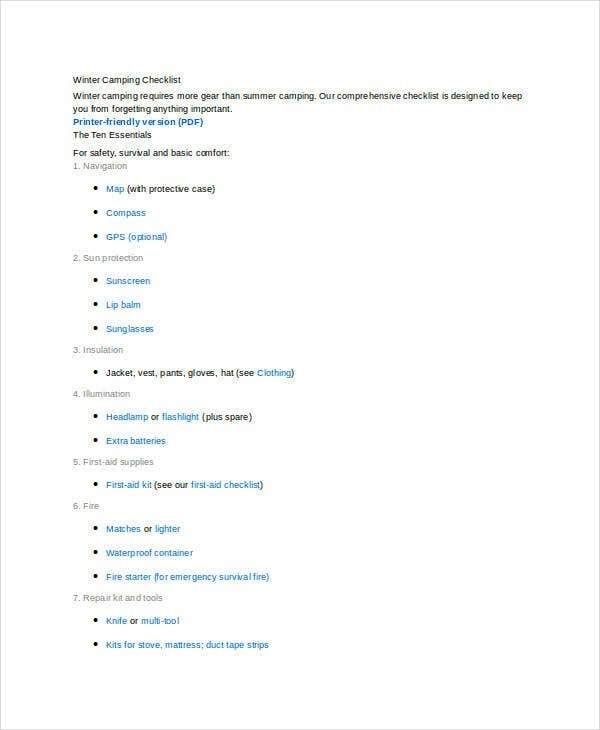 A camping checklist lets you assign tasks to teammates more easily. This way, you can make sure that everyone has something to do and that nobody performs the same task twice. 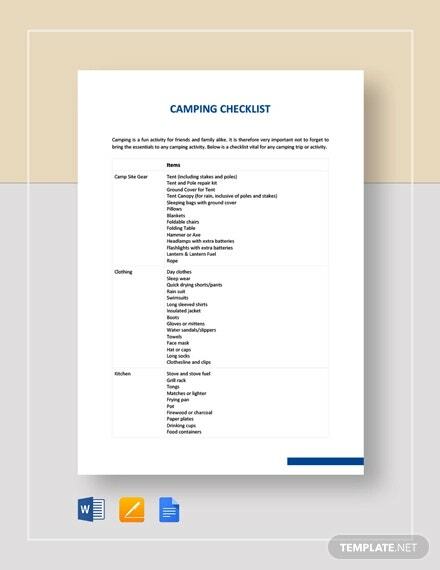 Use one of our templates when you’re planning a camping trip, a seaside vacation, or a simple to-do list of household chores. 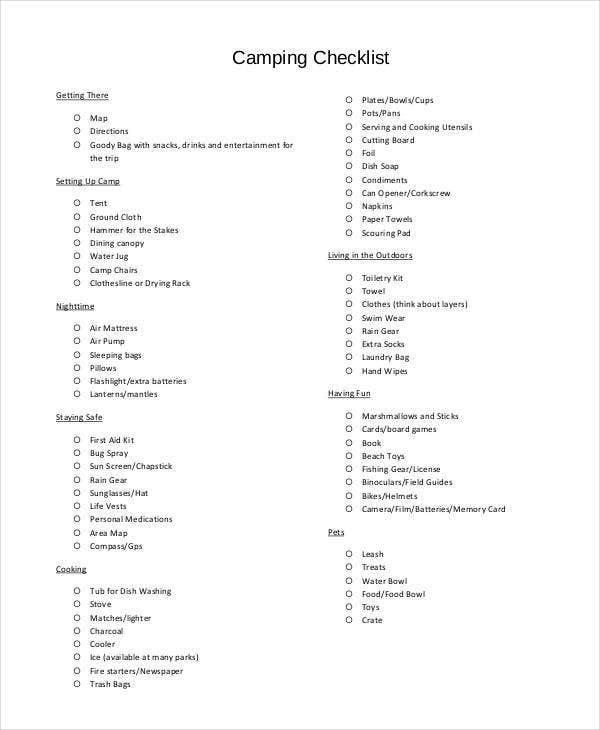 This way, you can make sure that everything that needs to be done are done in time and all camping necessities are covered. 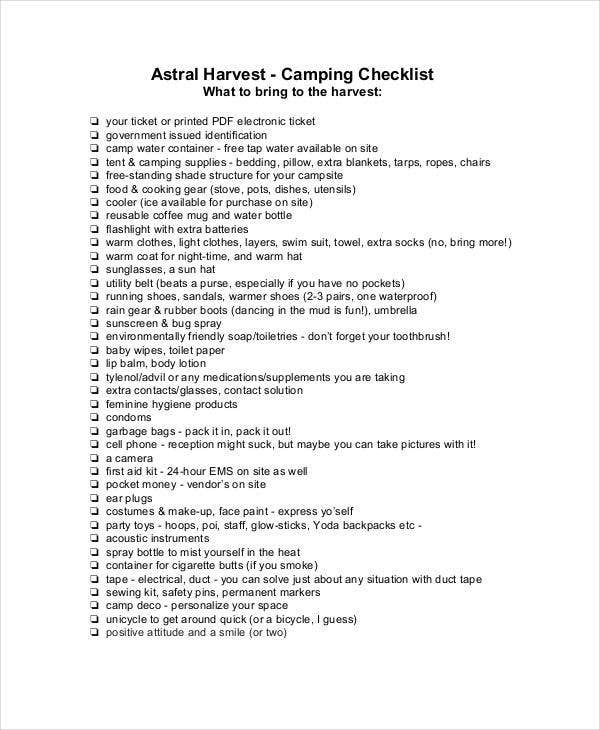 Aside from camping trips, checklists are also very useful for planning events. From arranging caterers, to hiring musicians or emcees, to booking venues, our massive collection of various events checklists will help you streamline the tasks needed for a successful event. 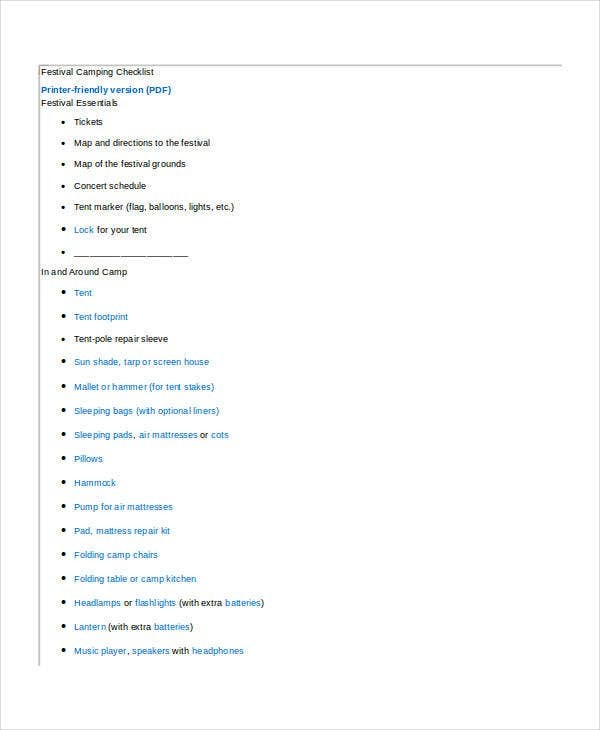 You can check out our wide array of event planning checklists, wedding to-do checklists, and project to-do list templates to help you organize any event.